Dr. Thomas Caesar explains the changes associated with the new ISO 16890 standard (source: Freudenberg Filtration Technologies). The webinar is free of charge and is open to operators and buyers of industrial air filters. Freudenberg’s filtration expert, Dr Thomas Caesar, who was closely involved in designing and formulating the new standard, will provide participants with important background information and explain how the changes will affect filter selection in the future. The new ISO 16890 standard represents a paradigm shift in the way filters are tested, classified and selected by end-users. It is expected to come into force by the end of 2016, replacing the previous EN 779. To give the industry time to adapt to the many changes it brings, the introduction of the new standard will be followed by a transition period of 18 months, during which both standards will apply simultaneously. 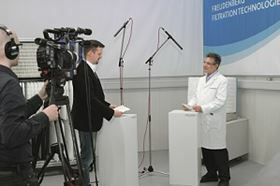 Free registration and further information is available on www.freudenberg-filter.com/en/iso16890. Once registered, participants will receive the webinar date and time, and registration options.